The Best Protective Cases For You! 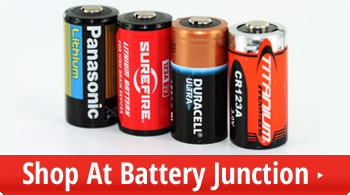 This blog will introduce you to the variety of high performance protective cases that we have at Battery Junction and why they are a great way to keep your valuables safe. 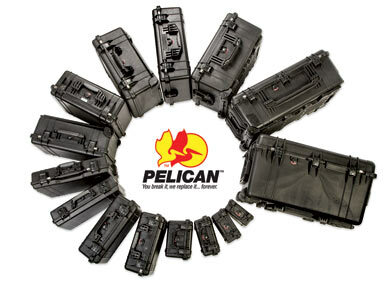 Both Pelican and Underwater Kinetics offer top of the line protection for your valuables and will keep your equipment safe in most any circumstances. These cases are wonderful for everybody from divers and extreme sports enthusiast who will be enduring some of the harshest conditions, to bands looking to keep their sound equipment and instruments safe, to regular consumers who just want to keep their firearm from rusting or getting clogged. These cases provide the highest quality protection for your most valuable possessions. Pelican protective cases, like UK cases, are produced and tested under the toughest conditions in order to make sure your equipment stays safe no matter the situation. 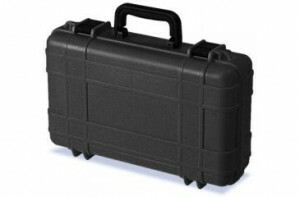 Pelican Protector Cases are airtight, watertight, dustproof, and constructed from the highest quality plastic and stainless steel materials. From micro cases for your smallest gear, to long cases for keeping your guns dust and moisture free, chances are Pelican has your storage needs covered. refrigeration needs. Pelican claims to have the thickest wall insulation in the industry which allows the coolers to keep ice for up to 10 days. 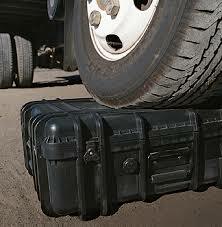 As with the other cases, the cooler includes locking latches, handles, and wheels for easy transportation. 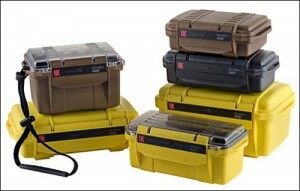 Underwater Kinetics is a premier brand in the protective case market because of the high quality materials and design that goes into the company’s dry cases. The cases are constructed using high strength ABS plastic that can operate effectively anywhere within the temperature range of -20°C and 80°C. UK cases come with silicone O-rings for waterproofing and provide the option for foam inserts, custom coloring, or electrical instrument panel installation for in the field use of equipment. 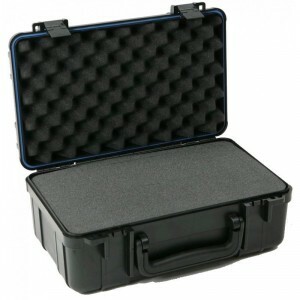 UK’s transit protective cases are great for safely transporting larger fragile gear, making them a favorite traveling case for band equipment, medical supplies, photography equipment and more. Transit cases are dust proof, waterproof up to 1 meter and have 3 inch wheels with an extendable handle for easy transportation. The transit case is a great option when you need to transport large and fragile materials to their destination damage free. The UltraCase, similar to the Transit case is perfect for keeping medium-sized gear damage free wherever it needs to go. The UltraCase is made with the same strong ABS material as the other UK cases and is also dustproof/waterproof. The case is also outfitted with venting latches that equalize pressure from the exterior with pressure in the case when it is opened, while also keeping the case airtight while it is closed. The UltraCase is stackable with other cases of the same model providing a safe and efficient way of transporting your medium-sized gear. 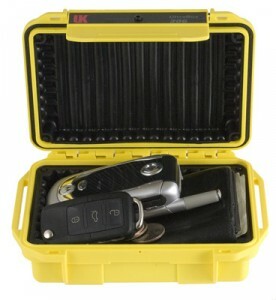 The DryBox is very similar to the UltraCase in construction and materials used, but is meant for more of a protective carry as opposed to travel. The DryBox offers many of the same features including being watertight, dustproof, crushproof, and airtight in order to keep gas from entering the case. The DryBox has customization options including clear or solid colored lids and different foam inserts. The UltraBox is the smallest option of the four protective cases and is meant for small electronics while providing the same protection that larger cases offer. 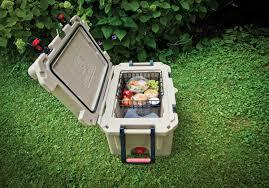 The UltraBox is waterproof, airtight, dustproof, and boasts a lighter weight than its larger counterparts. The UltraBox gives the option of either a clear or solid lid, nylon mesh pouches, or shock-absorbent rubber liner. The UltraBox is the perfect high protection case for small electronics and gear that you need to bring with you on the go. If you have sensitive equipment that needs transporting, or if you just need a quality cooler to bring to the tailgate then come by our protective storage cases section on Battery Junction and take a look at our selection. For further information about case materials, construction, or ratings visit either the Underwater Kinetics website or the Pelican site.